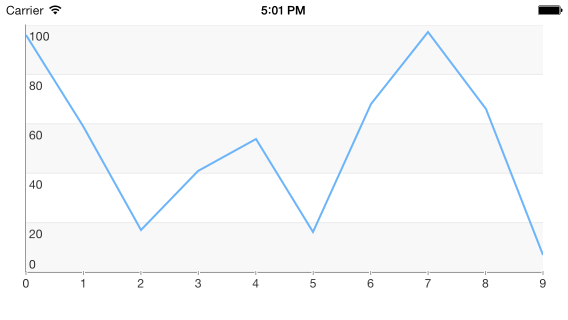 This tutorial demonstrates how to create a simple iOS application with Telerik UI for iOS and its Chart for iOS. In order to use Chart for iOS, you have to download and install the latest version Telerik UI for iOS as shown below. You can download the Trial version of UI for iOS from http://www.telerik.com/download/ios-ui. 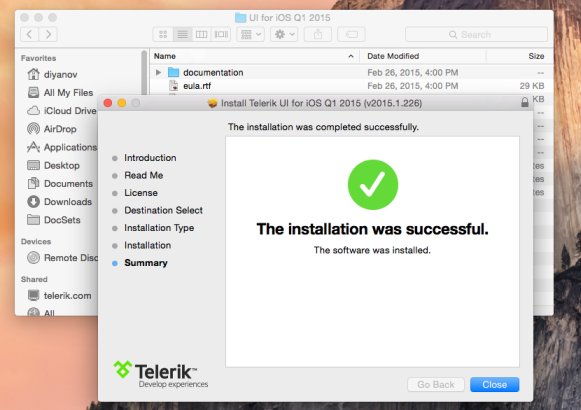 Clicking the Download installer button will download the installation package - Telerik UI for iOS.pkg. Go to Products & Subscriptions >> UI for iOS. Click the Download Installer and other resources button. Download the Automatic Installation file. Go to Products & Subscriptions >> DevCraft Ultimate. Find the UI for iOS box from the list of available products and click the Download button to download the installer. Go to Products & Subscriptions >> Telerik Platform. Double-click the installer file that you have just downloaded and the installer will guide you through the installation process. When done it will open the newly created folder in your Documents folder. Open Xcode and choose "Create a new Xcode project". 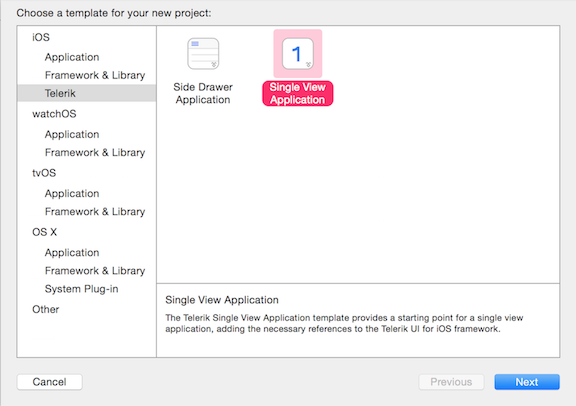 Choose "Single View Application" from the Telerik Project Templates in the "Choose a template for your new project" dialog. Give your project a name and click Next. Complete the process of creating a project by specifying the location for your project and clicking Create. This is it, now you are ready to start working with Telerik Chart. chart.title().text = "This is a chart demo"
In order to uninstall TelerikUI run the xcodeuninstall.sh script which can be found in the Documents\Telerik\UI for iOS.